International release August 2018 Acclaimed trumpeter/soundscaper Hilde Marie Holsen follows up her critical hit mini-album debut, ‘Ask’, with the dark and mysterious ‘Lazuli’, a suite of four compositions inspired by visual art and named after minerals used to colour paint. 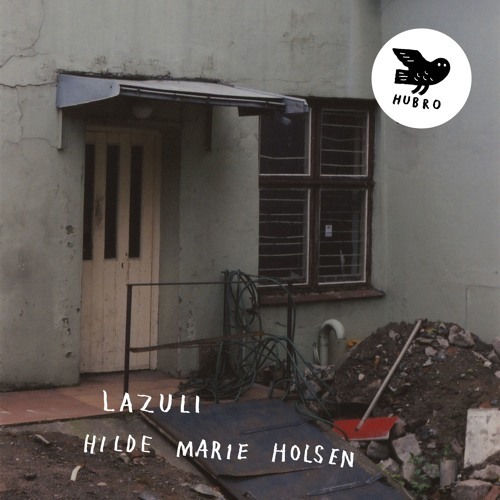 Hilde Marie Holsen’s ‘Lazuli’ is an almost shockingly complete musical statement. It’s as if an intense dialogue between the processes of composition and improvisation, and the interplay of sound and music, has led to the creation of experimental and often challenging work that nevertheless comes across as absolutely fully-formed; as inevitable, even. The result is a kind of monumentality, where to change just one element of the final text becomes impossible to contemplate, despite the whole thing remaining, at another level, entirely provisional and contingent, as immaterial as air itself, and perhaps closer to the idea of a sonic atmosphere than to most definitions of what constitutes music. ‘Element' is significant, too, for Hilde Marie Holsen’s implicit thematic touchstones for ‘Lazuli’ - the chemical minerals used to create pigment in paint, and the idea of painting with sound, together with her own intuitive methods of production, continually working and re-working her material until the art reveals itself - relate in some way to the notion of alchemy. If not quite turning base matter into gold, Holsen is taking the sounds made by her trumpet and refashioning them through a combination of breath and electronic processing, into vivid new life. “All the electronic sounds on the album are still live and processed trumpet, as they were on ‘Ask’” says Holsen. “Since ‘Ask’, I’ve been exploring, among other things, different ways to play the acoustic trumpet, both conventional and unconventional, trying to find different timbres that can also give a larger register of processed sound in the electronic soundscape. The music on ‘Lazuli’ began as improvisation, and then later on I’ve had the chance to do minor adjustments and edits on the tracks. ‘Lazuli’ came about through a collaboration with the artist and painter Tyra Fure Brandsæter. We’ve spent some time practising our art together, using each other’s expression as an inspiration for our own performance and artistic production. The titles on the album are an homage to this collaboration: they are all different types of minerals that have been used as colour pigment in painting.” There are numerous exemplars of an instrument-plus-electronics approach in improvised and experimental music, even those combining trumpet and electronics. We could consider Terry Riley’s tape-manipulations of Chet Baker in ‘Music For The Gift’ in Paris in 1963, the experiments of Jon Hassell, Mark Isham and Graham Haynes, as well as a very strong Norwegian tradition including Nils Petter Molvaer and Ave Henriksen. But no-one, perhaps, has gone as far as Hilde Marie Holsen in making the sound - the noise, even - such an equal partner to the music, and in creating such a seamless end-result to such a pleasingly natural-seeming process, where one musical instrument is used to provide both the form and the content, the figure and the ground. Listen, especially, to the final, title-track, of ‘Lazuli’ and you’ll see how far Hilde Marie Holsen can go. Hilde Marie Holsen ist eine Entdeckung für mich. Ich mag Ihren Sound ! Tolle CD. Sehr dunkel und voller Energie.